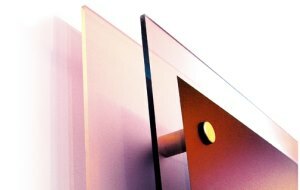 We provide a quick service in high quality display panels made from top quality gloss acrylic with polished edges and holes if required. For exhibitions, shop displays, home photography or treasured artworks. Choose your thickness for 1 or 2 sheets of Acrylic. We recommend at least 3mm thick but 4 or 6mm is more thermally stable. We have sheets up to 6000mm (6M) long and 2000mm (2M) wide but we will supply any size. 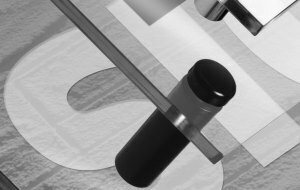 We can also supply support mounts from a large range of materials, sizes and colours. Our most economic are in Satin Chrome are 16mm in diameter and should hold the back panel 20mm off the wall. It will take panels from 2 - 13mm and needs a 12mm hole which must be drilled carefully or it could star crack. We can insure that the holes are drilled the correct oversized diameter and that they are paired up where advised to ensure ease of mounting. On large sides over 800mm long we recommend a support mount every 600mm (400mm at 800mm). This prevents warping. Priced per design and quantity. Fast Service. Our most economic mount is in Satin Chrome is 16mm diameter and hold the panels from 2mm to 13mm thick 20mm off the wall. 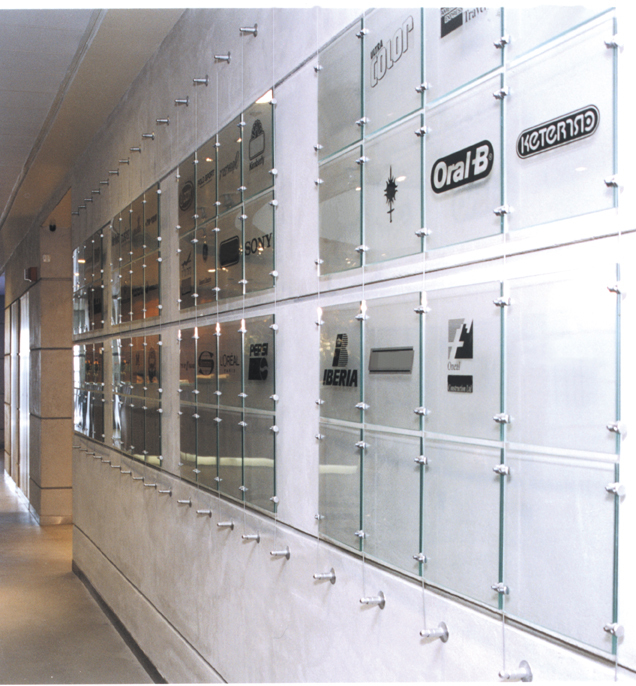 We specialise in the supply of polished Acrylic panels & blocks at great prices. We use edge polishing methods such as diamond and flame polishing and buffing to achieve the level of gloss finish you require. 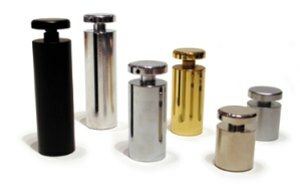 We offer and guarantee a level of polishing from 96 to 99% Mark Free. Please read our page on polishing click here. Please stae the level you require when enquiring. These have many decorative uses. They are used as photo block mounts where they can substantial enhance the appearance and value of the display of the image. They are also used for block stamping. 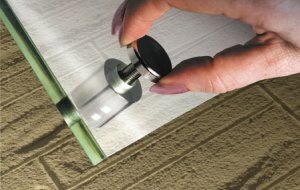 We can polish from 3mm up to 50mm thicknesses and over. Enhances the depth of view and colours. Images mounted on Black Acrylic & covered in Clear Acrylic. The blocks can be used with or without contrasting backing blocks. We also supply Acrylic blocks with holes cut out for inserting images. Images or items can also be displayed in between Acrylic panels like a sandwich. We have several white mounting panel materials. Please click here for a comparison chart. Please email us for a quote selecting which Acrylic colour combinations and sizes and specifying the mark free level for the polished edges. You can use the "Request a quote" button at the top of the page. Signs, Display Panels and Supports. There are a vast range of methods of fixing your artwork display and below we show some of the option. Please browse and email us so we can ensure your choice will satisy your requirements. In theory you can have a mix of any colour of Acrylic panel you wish. Clear on Clear is a favourite but Black or White rear panels can be very effective in offering a contrast.